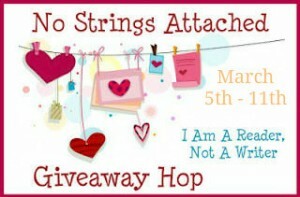 It’s been a long time since I’ve participated in a giveaway hop and I thought this was a great way to, um, jump back in! I’m giving away a $10 Amazon gift card and all you have to do is click enter below! Then you can follow the links below to enter at the almost 100 blogs participating. According to Nathan Rockledge, fifth grade has plenty of perks. 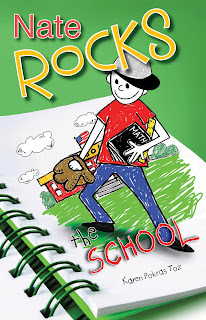 Oh sure, there’s more work and that know-it-all, Lisa Crane, is still around – but, there’s a lot to look forward to as well: a laser tag birthday party, baseball at recess, and even a cool Halloween dance. Of course, all of that means nothing without the biggest perk of all . . . the class trip to New York City in the spring. If Nathan’s class can raise enough money to go, that is.Give Nathan paper and a pencil and watch as his imagination turns him into Nate Rocks, hero and fifth grade super star. With adventures abound, Nate saves the day time and again. But will Nate be able to save the fifth grade trip?